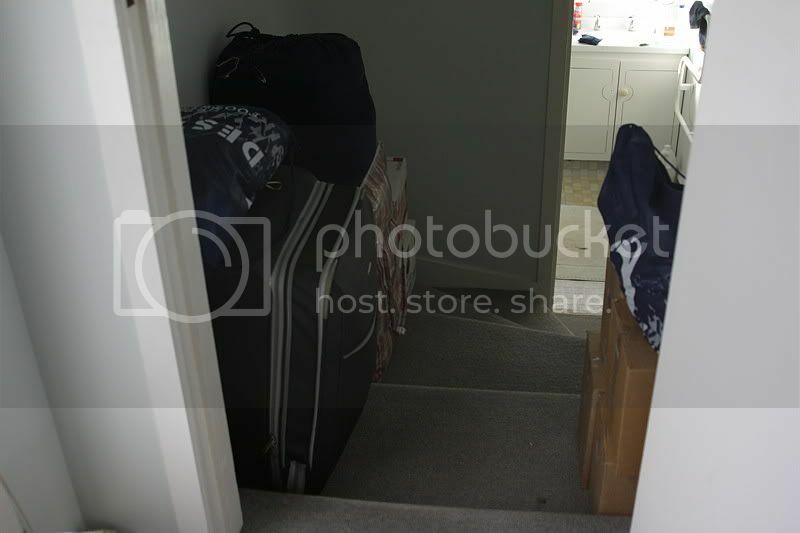 The bags contain fabric, including some clothes and towels and sheets, the boxes, books. I have this idea that if I move each packed item out of my room as I go, eventually there will be a smaller pile of Stuff in here. It doesn't seem to be working so far, although I seem to have some emptier shelves and drawers. Also I have been able to offload some of the encroaching Stuff to appreciative homes, and some of it has been put to use already.